Exhibition Group are one of the leading companies in their industry. The hire service and display works divisions offer a diverse range of products nationwide and have a reputation for providing excellence in display solutions across a multitude of events. 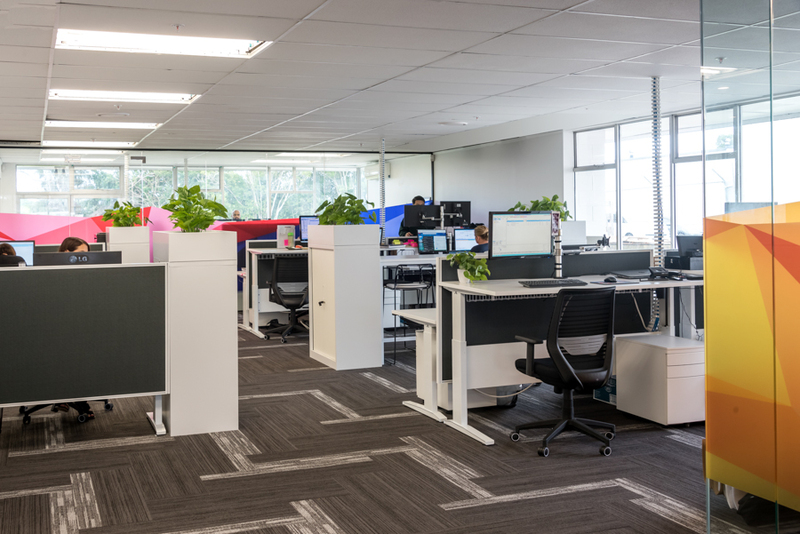 Their success in this area has enabled them to hold preferred supplier status with many of New Zealand’s prominent event facilities and venues. We were introduced to Exhibition Group while exhibiting at a show in Auckland. 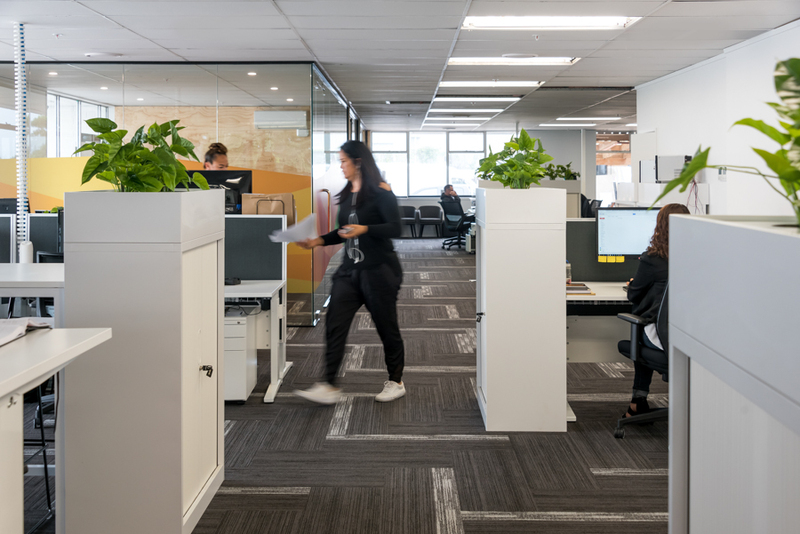 They presented us with the concerns they had about consolidating a number of Auckland locations into one site and how that would work from a workspace point of view. 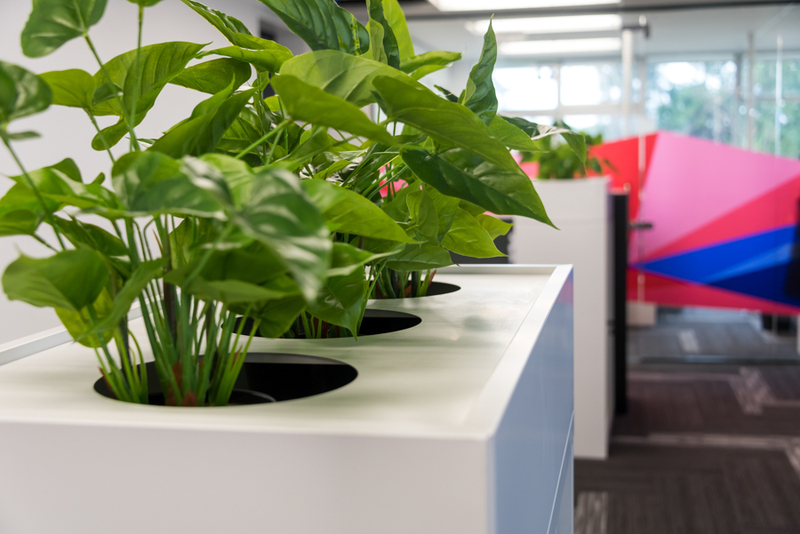 Particular issues for them revolved around the desire to go to sit to stand desks, manage technology well and have shared workspace areas within the open office floor layout that didn’t impede on worker focus etc. We supplied our shape electric desk system offering electric adjustment from sitting to standing position. 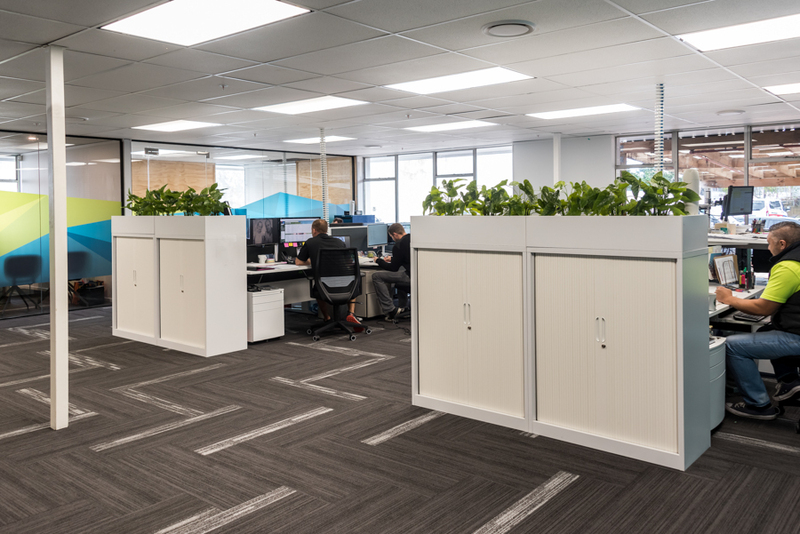 Cables were managed via cable spines to ceiling with monitor arms and CPU holders being supplied to mount IT equipment and technology. Significant flexibility was required over the course of the delivery and installation of the project. Despite this, the project was completed on time.